366 Degrees is a marketing automation platform designed for small and medium sized businesses. "Power of Integration and Automation Saves Time"
"The most simple and powerful Content Marketing and Distribution tool I have ever used! GREAT VALUE!" 366º is a complete online marketing system that has replaced tools like Aweber, Hubspot, Lead Pages and more for one VERY affordable price. 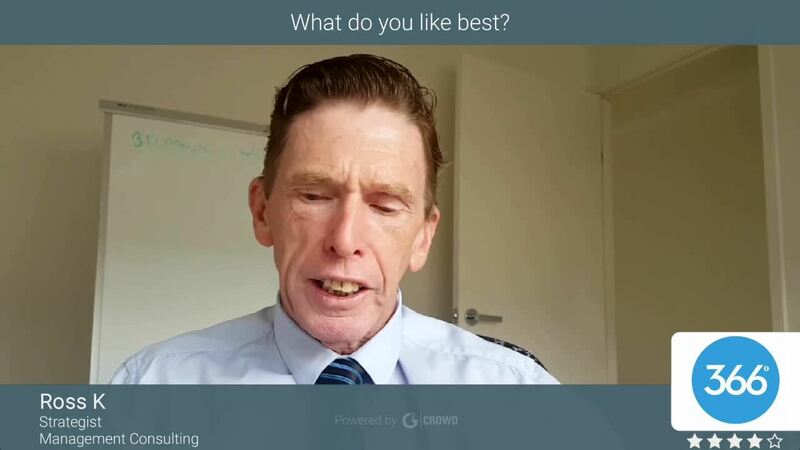 I am using the broadcast email, drip email campaigns and social media posting capabilities almost daily.My favorite feature is the way it integrates with my CRM (Nimble) to start and monitor simple "Get To Know You" drip email campaigns from contact that I have met in person or I have connected with on LinkedIn. IT IS BY FAR my most productive marketing tool that is showing real results with closed new business! It's a little complex to learn. If you are used to a standard email program like Constant Contact or MailChimp, it has a slightly different metaphor. Once you learn it, it becomes much simpler to use (no different than any of the afore mentioned programs). Not so much of a dislike... Like any marketing tool, it you have finely crafted and effectively tested marketing messages, it will be much more successful. Content is King (and Consistency is Queen). If you have content assets (graphics, blogs, emails) then you can simply import and start using. If you don't, get you content in order and THEN start your 30 day free trial. It took me 2 months to get my content in order. I had to pay after 30 days, but i learned enough to make it worth it! I am using this to maximize my brand and marketing with current and potential clients. It has helped me to simplify and automate the communications of benefits and features of the service I provide. It does what a bunch of other offerings do, but at a much more affordable price point, and I know it has some incredible integration options that are available now and some very useful ones coming in the near future! "Intuitive. Powerful. Not too little and not too much. " 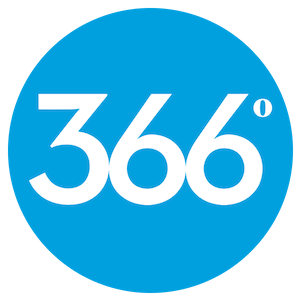 366 lets me seamlessly personalize communications to my Nimble (CRM) contacts in standard or drip campaigns. Beyond the usual email, it gives me control over social posts, and landing pages through campaign tools that are easy to understand and manage. I love that when I'm working with a new contact in Nimble, I just add them to any 366 campaign (drop down menu + 1-click choice) to add them in. That means I'm not dropping the ball on routine communications. I'm just starting to do some video marketing with VidYard and 366 handles those assets as well. Not too little and not too much (from the title) refers to how elegantly simple and powerful 366 is. They offer enough features for you to do some really good work and not so many features that you can get lost. This is a great product for people and companies that are kinda new to automated marketing, but who don't want to take on an entirely new career to learn to use the product! The product upgrades are moving in the right direction. I've seen some new features already and the product gets easier and easier to use. I think 366 would benefit from a wizard/tutorial for new users that would 'follow' them on screen to make the first experience consistently successful. It only took me a couple of hours to get the hang of things and get my first (simple) project out the door. If you're a fast-turn organization (i.e., your style is to get stuff down 'now'), 366 is a great fit. It's simple enough to be quick to learn and easy enough to be quick to implement your ideas. As with any CRM or email program, tagging your records is essential. 366 has help me promote events, set up a 5-week (open drip) challenge for prospects working on their 2019 strategies, and I'm just starting to use it for social media send-outs as well. When I'm on the phone with anyone, I can just look in Nimble and find out which emails they've received, opened, read, etc. That means less homework for me, a better customer experience for them, and I get the feeling of always being prepared. "366 Degrees - an easy-to-use email marketing tool"
This tool is a lot more intuitive than other email marketing tools I have used in the past, which is great for getting new employees up to speed quickly. It also integrates great with Nimble CRM. I don't love the UI. It feels pretty outdated and could use a face lift to make it more enjoyable to use. It's not poorly working or anything, it's just not pretty compared to other tools I use on a regular basis such as Asana. If you're using Nimble, this is a great tool. We're able to better segment lists and get mass emails out to the right customers quickly. We're also able to build new email templates with ease. The drip campaigns are a bit complicated, but the feature is at least there. "Effective Marketing Platform with Strong ROI"
366 Degrees is easy to set-up and use. The integrations with Salesforce.com, Vidyard and breadth of functionality - email, landing pages, social, video, digital assessment management, workflow/campaign management and analytics are helpful to marketing and customer communication teams. We really like the service team and feel they have been very responsive and consistently shows they want to enable us to succeed.. Nothing really. They helped us learn more about Salesforce. Do a TCO analysis vs other solutions on the market. Engage with them and experience their level of service in comparison to larger marketing automation solutions. Also ask them about their product road map. We really liked the level of transparency and their willingness to listen to what we felt was needed to improve our business and the use of their software. Management of communications to prospects, new and existing customers. We like that we have driven more engagement and were able to increase our reach to prospects in a way that we were not with other marketing platforms. The ease of use across all social media avenues is wonderful! I especially love we can easily design and schedule email and online campaigns with customized templates. The best part, my business partner, Amy Jukes, with Phyl the Jukebox Productions, was absolutely giddy over all the capabilities during the demo and training. We both highly recommend 366 Degrees! I do have any dislikes or issues with 366 Degrees. Highly recommend if you are looking for ease of use with a social marketing/media product and your CRM systems, especially if you are a power Nimble or Salesforce user. One location for all our social marketing and media communications. We are not having to use multiple platforms for output. We can easily schedule outbound communications for Facebook, Instagram, LinkedIn, Twitter, etc. from one interface. The team at 366 Degrees has done an excellent job marketing to my customers through social media as well as targeted email campaigns! Great customer service and focused advertising has really helped me build my brand. We have found nothing to dislike at this point in our relationship. 366 Degrees has helped me stay in touch with my customers and opened new lines of communication. The benefit of using their platform to introduce new products into the marketplace has been priceless. The application worked beyond expectations. The ease of use and functionality far exceeded what we initially thought we were getting. The process of creating campaigns, enhancing marketing material and outreach efforts through 366 Degrees really helped us understanding what we could achieve. There is nothing I did not like. The functionality of the application took time to understand and we were slow in truly understanding the true capabilities and potential of the solution. There is so much functionality available. Take the time to understand the full capabilities of the application. 366 Degrees solved out communication and marketing efforts. It consolidated all our previously segmented systems by creating a single solution that could effectively create content, message, outreach efforts, with complete tracking tools to measure progress. "366 degrees helps marketing compaigns"
Nothing so far. We have had questions several times and they have been answered. "It's one of the best softwares out there! " It's quick and easy to learn. Easy setup and admin. Basic calendering and budgeting. Very straight forward. Nothing. It's very great company and I'd recommend them to anyone! It helps me get my business name out there and make sales. "Buena herramienta para informar, mantener y fidelizar clientes"
Easy to use, straight forward. The customer service and help team is really supportive and helpful. The layout isn’t the best. I wish there would be an easier way to avoid being thrown into spam. 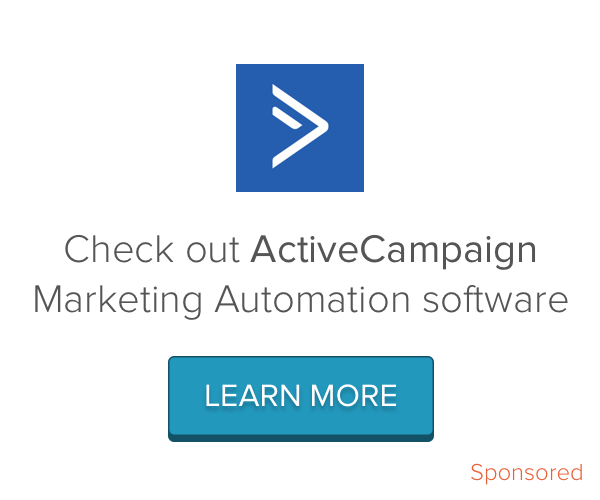 Lean and handy email marketing campaign automation with special integrations built around Salesforce and Nimble. Personalized journeys can be created and loyal followers engaged. Because 366 Degrees doubles as a contact/lead manager, a CRM isn’t critical. * We monitor all 366 Degrees reviews to prevent fraudulent reviews and keep review quality high. We do not post reviews by company employees or direct competitors. Validated reviews require the user to submit a screenshot of the product containing their user ID, in order to verify a user is an actual user of the product. Hi there! Are you looking to implement a solution like 366 Degrees?